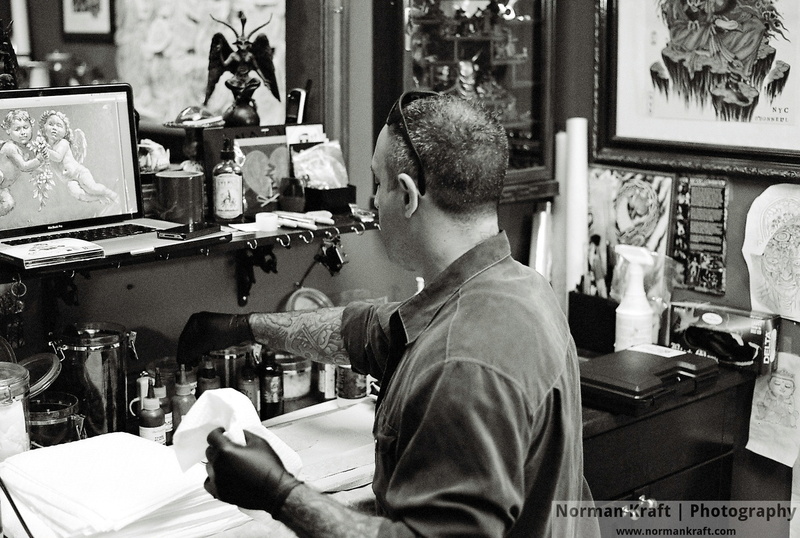 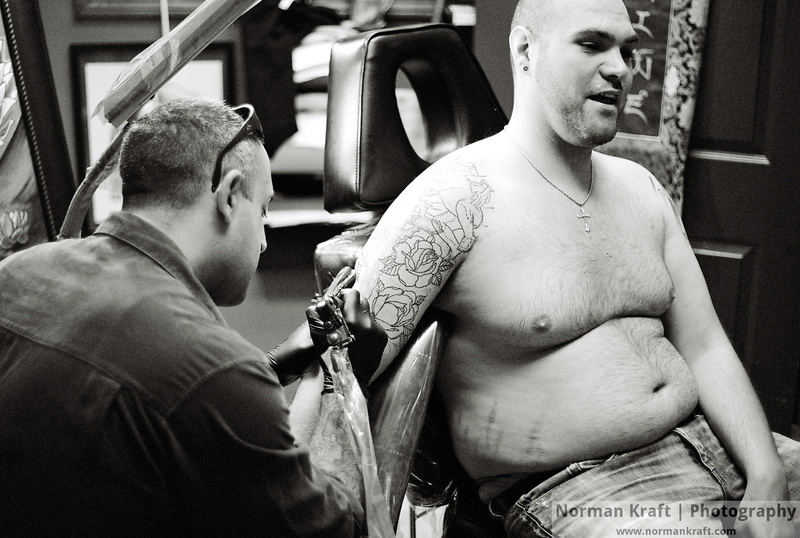 Natan Alexander, owner of Witch City Ink, allowed me to shoot a demonstration of the ancient art of tattooing. 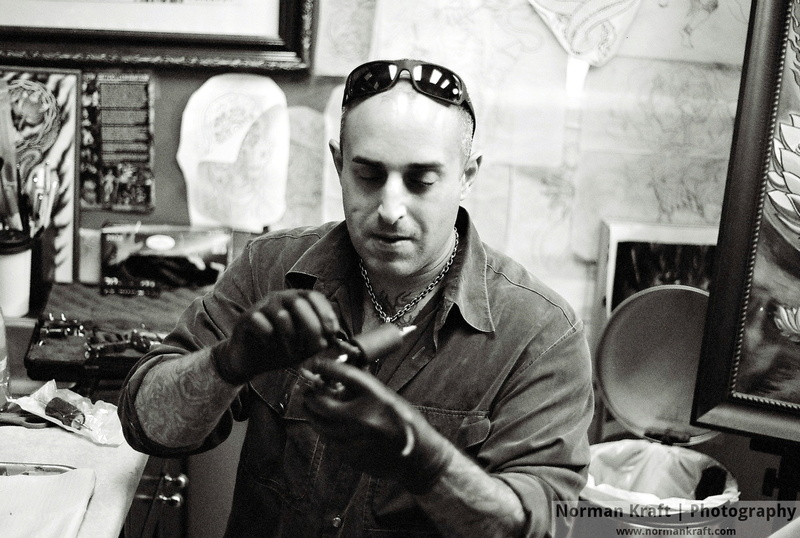 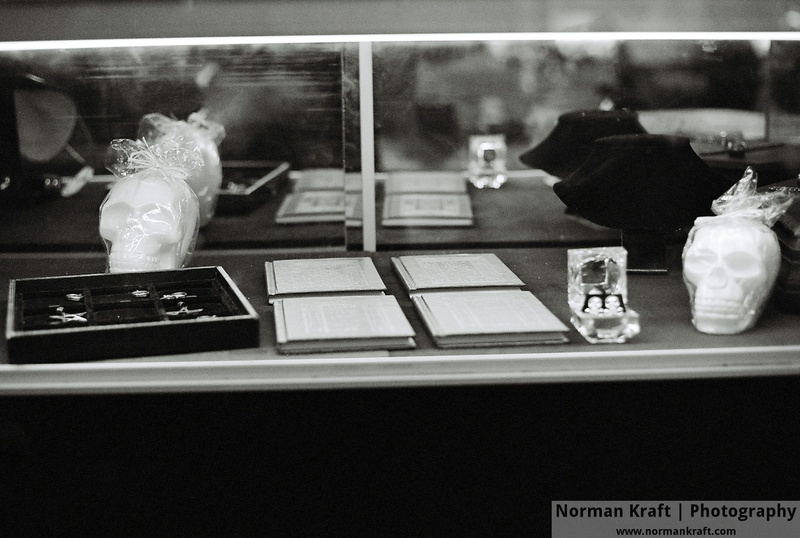 The shop is a popular stop in Salem, where Natan is a talented tattooist with the heart of an artist. 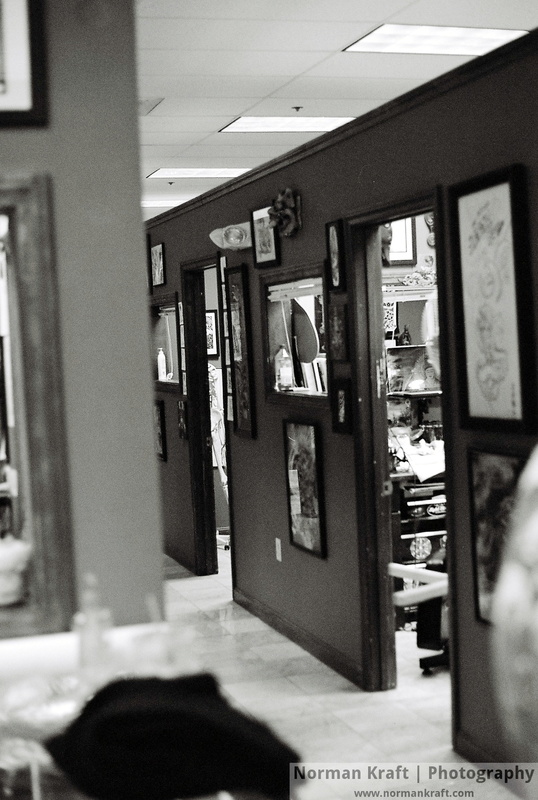 They say on their site “Witch City Ink is one of the largest and most beautiful shops in New England.” I can attest to both statements; this shop is unlike any tattoo salon I’ve seen. 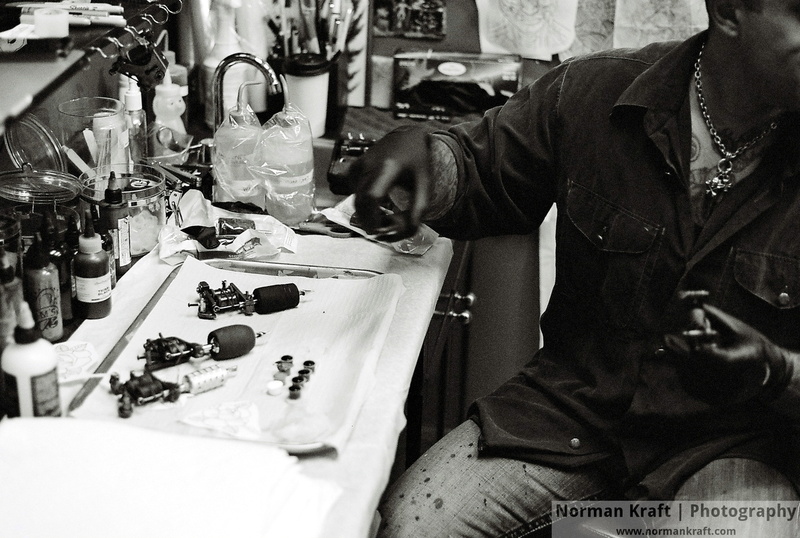 These images were shot on Tri-X. 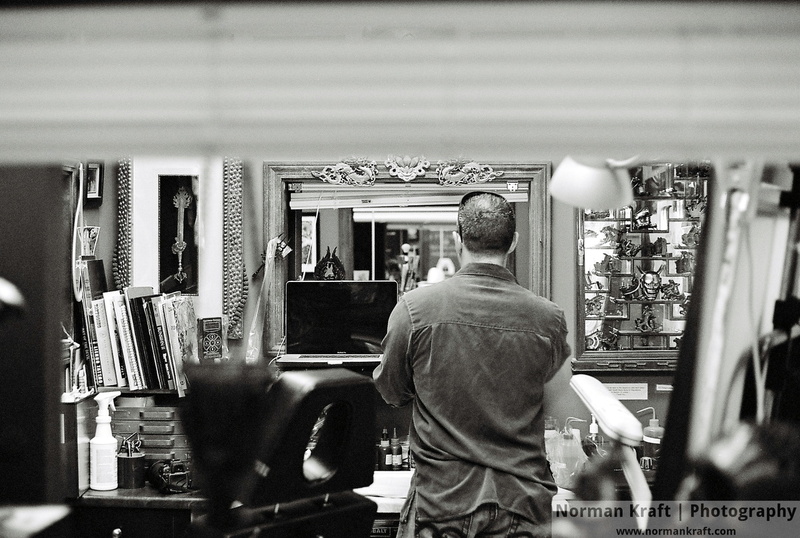 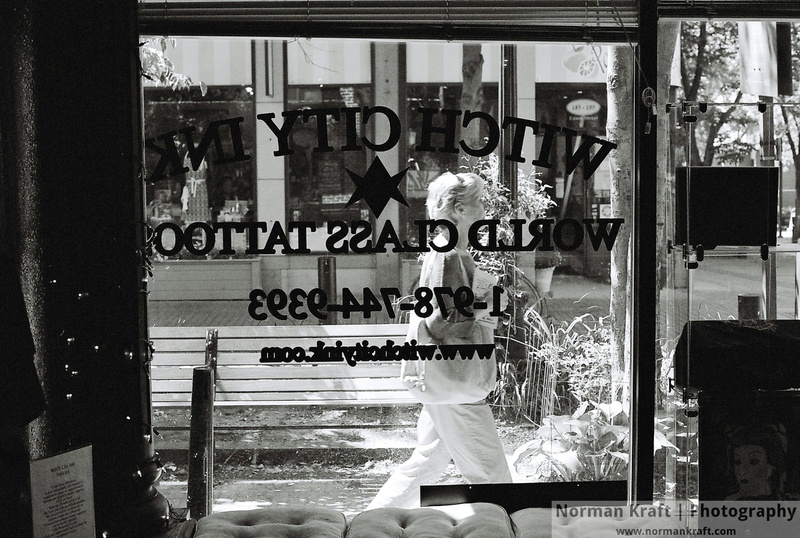 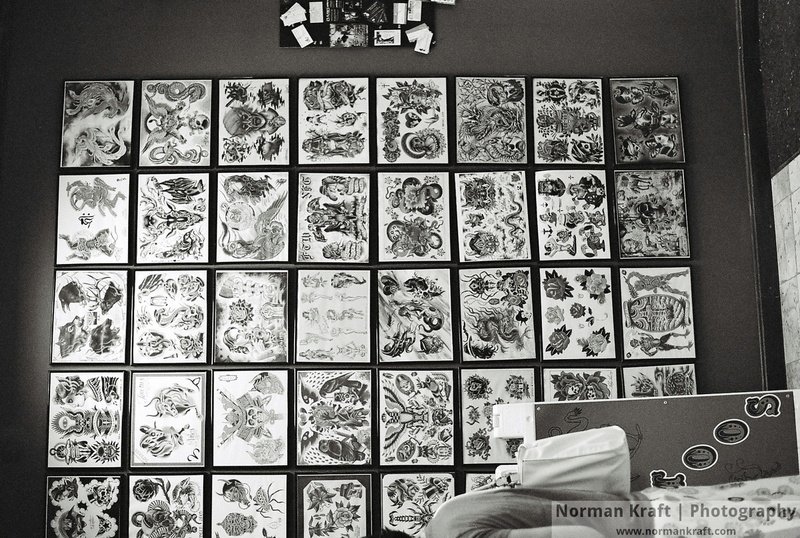 Despite the colorful tattoo work presented, black and white had the right feel for this shop. 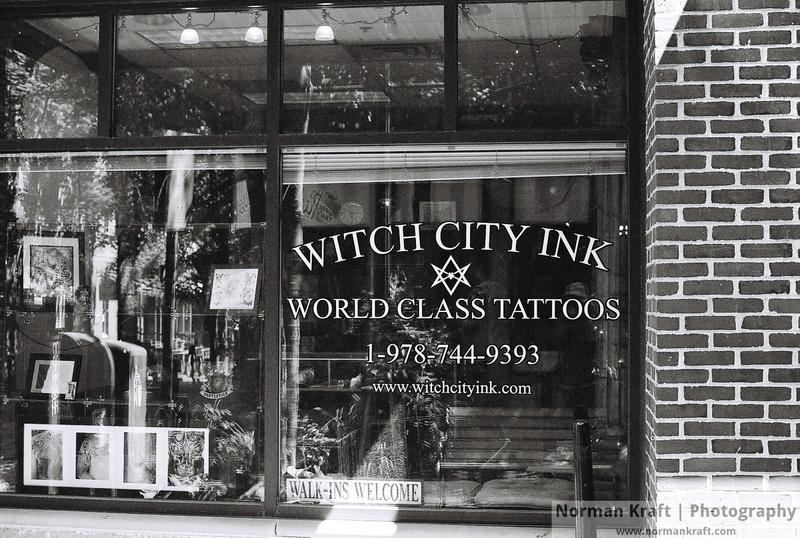 Witch City Ink opened in 2008 to provide high quality tattoo work in Salem, MA. 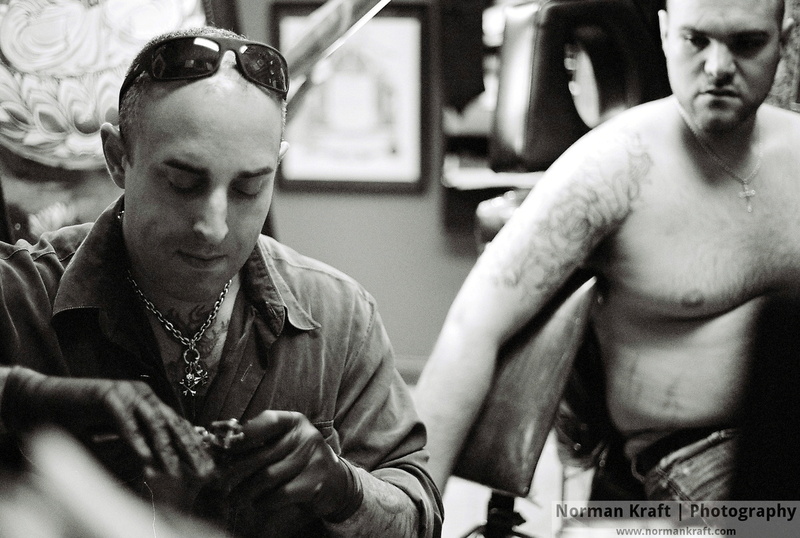 Several of the artists here have won awards for their work. 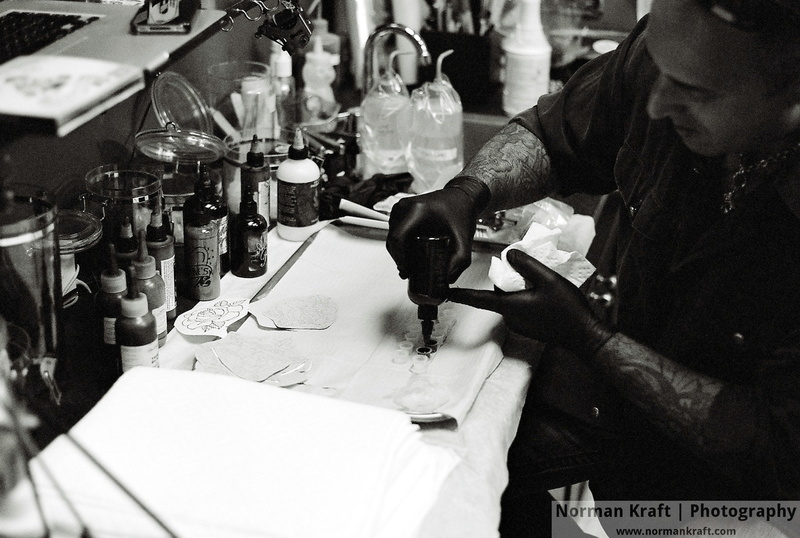 They special in custom and artistic tattooing.